Leather Ergonomic office chairs are specifically designed to aid your posture when seated up to your office desk. Ergonomically friendly chairs can help you to work efficiently and effectively by reducing user fatigue and discomfort. Ergonomically designed office chairs follow and contours your back. The main features of an Leather ergonomic office chair include, height adjustable armrests, some armrest are padded to further your comfort, adjustable back height with built in lumbar support, height adjustable gas lift, and a fully synchronized tilt to seat and back rest. 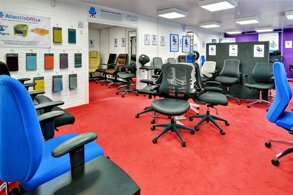 Leather Ergonomic office chairs are available in an array of colours. The Tuscan is our black leather faced operator office chair, it features a head support and pivoting..
Alford Black Leather Operator Chair Adjustable back with segmented cushion support Generously .. Luxury operator chair Armrests which are height adjustable Back angle adjustment Reclining .. The Storm Heavy Duty Task Chair is upholstered in Black Bonded Leather, it offers a deep cushioned .. The Puma is a black leather look executive office chair, which has the look and feel of quality. It.. The Galaxy Heavy Duty Leather Chair is available in Black Bonded Leather, it is a fully upholstered .. The Barcelona Deluxe Leather Task Chair is our deluxe black bonded leather operator office chair whi..
Zeus Black Leather Heavy Duty 24 Hour Usage Office Task Chair	Black Bonded Leather	Thick padde..
Black Extra-large luxury executive office chair Soft leather edged seat Back with mesh fabric .. The Limoges is our black leather faced executive office chair, it features a chrome 5 star base with.. 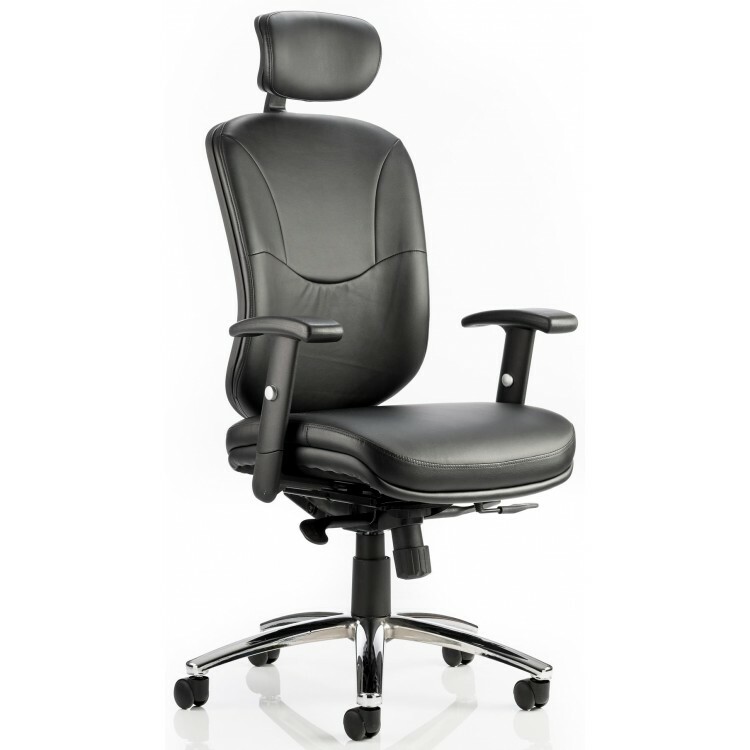 The Fareham is our high back, leather faced ergonomic 24hr posture chair which has a professional, c.. The Mirage II Chair is our executive office chair available in black bonded leather. It features adj.. The Ely is our new Leather posture office chair, it is available in Black Bonded Leather and is suit.. The Molet is our high back executive chair available with a black bonded leather upholstery. It offe.. The Zouch is one of our newest, boldest chairs. With limitless options for ultimate comfort and styl.. The Ergo Dynamic chairs ergonomically designed controls allow you to effortlessly adjust the chairs ..  The i-Curve is a new high grade multi-function mechanism orthopaedic office chair Ratchet heigh..